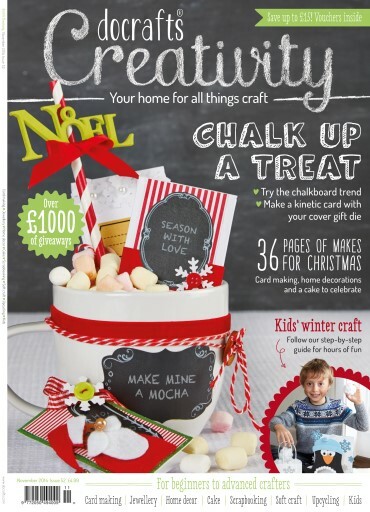 With our front cover hot chocolate gift mug making us feel all warm and cosy inside, the theme continues this November issue with a festive flurry of projects to make your Christmas a magical homemade experience! From a stunning bauble centrepiece to simple shelf decorations, we have festive decor sussed with ideas to make your home the prettiest Christmas grotto around. We’re jumping on board the chalkboard and cork trends with card making and scrapbooking and our designers have been pushing the boundaries of crafting with new techniques and workshops.